This spider web may not look like much but it was HUGE. It was stretched between two trees. I think the wind blowing between the trees destroyed some of it. It was an impressive web. 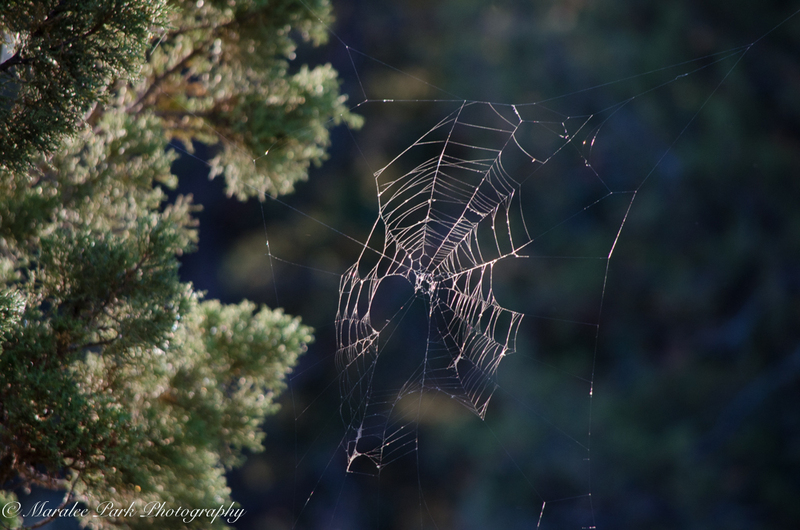 Spider webs never cease to amaze me. Such great weaving.